Popcorn Time is a new way to watch/stream high definition movies via torrent protocol. Even Popcorn Time has been become a controversial way to watch movies, this application still my favorite. Popcorn Time can be installed on almost any devices and operating systems. 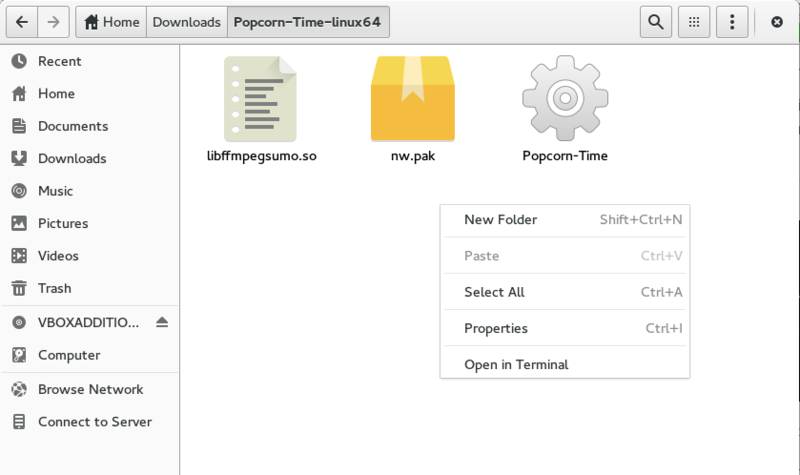 On this tutorial, I will show you how to install Popcorn Time on OpenSUSE Leap 42.1. Use the following link to directly download Popcorn Time binary package for Linux 64 bit. For other options, you can visit this page. You can simply right click on the downloaded file and select Extract here. It will produce a new directory called Popcorn-Time-linux64 or something like that. You will get an error and cannot run Popcorn Time properly at this time. We need to do some tweak to solve this problem. Thanks to this post that shows a quick fix to the problem. Execute this command on Terminal to fix the missing libudev.so.0 on OpenSUSE. Now, Popcorn Time should run properly. Hi, thanks! But I get an error msg when running the sed command. Same error happened with me. Change the characters ‘, the terminal does not accept what is written in the post.